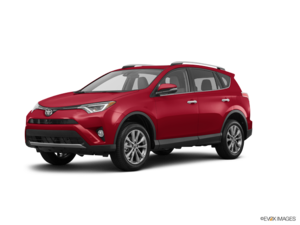 This past Thursday, February 23, I attended your Service Centre for a 24000km service check on my RAV4. I was greeted at the door with a smile by the General Manager. I then had my 9:15 appointment honoured without a hiccup. Pretty good, right? As I was talking about a notable dent I recently inherited from an inconsiderate shopping mall parking lot patron, an outside 'dent repair agent' was called and was asked to come and appraise my dent. As I waited, my car was serviced and the ding was immaculately repaired in less than 2 hours flat. Wait, there's more. In all of this, Maggie even stopped by while I waited to ensure that I was comfortable and had sufficient 'desk space' to do my paperwork. Thanks to Chris, Brian, Maggie, the 'dent magician', the female service agent who first took my keys and the shuttle drive. I received impeccable service. KUDOS to you all. 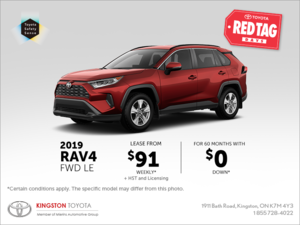 Well done Kingston Toyota. There's a reason I have been a die-hard Toyota fan for over 25+ years.